Random Scribbles: XCP-ng Center works! 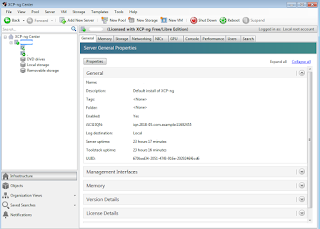 After the transition to XCP-ng, the free/libre edition, of xenserver, I installed XCP-ng Center, the free version of XenCenter to manage the xenserver. However, it failed to load using either the portable version or the installer version. It turns out that the VM (on my desktop) that I was using to run XenCenter 7.0 was too old and did not have the required .NET Framework version (installer never indicated that .NET install was missing). 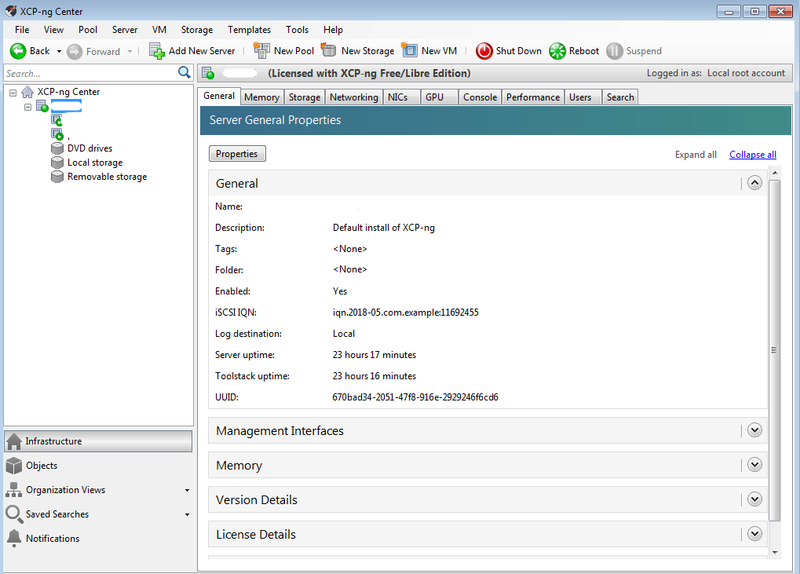 That Windows 7 VM was only used when I wanted to manage the xenserver and then just shut down. So it was not even getting any updates since it was installed in 2016. By chance, I thought of trying on another Windows 7 VM which I use just for browsing and there the installer asked to install .NET Framework 4.0 and 4.5 (installed 4.7.2). After that, XCP-ng Center 7.4 is working as expected with all features enabled.